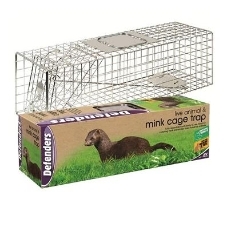 Mink / Squirrel Cage Trap. Long lastin galvanised mesh design with a positive spring loaded trigger action, a hand plate and a carrier handle for easy handling and transportation. Traps must be checked regularly.